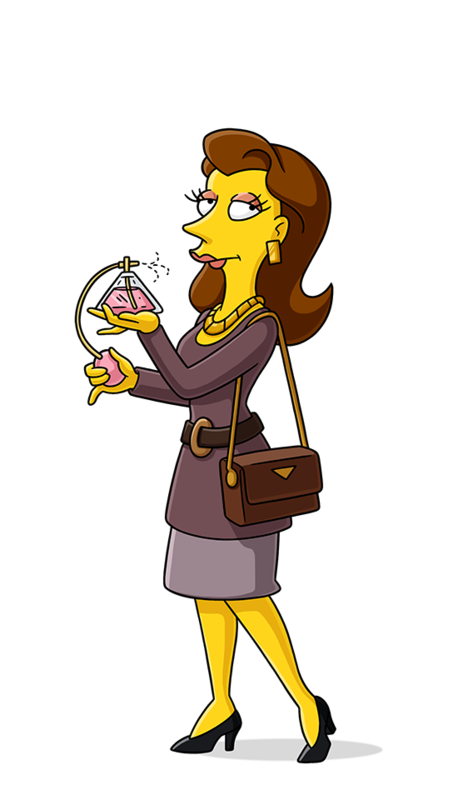 Socialite whose main purpose is to pass time chitchatting with other friends/club members; to act as arbiter of Springfield society. Drives a Mercedes wagon. She is incompetent at doing menial jobs herself. Secret shame: Graduated from Springfield High School instead of an expensive prep school. Biggest mysteries: Why she doesn't know the Kwik-E-Mart pumps are self-serve; where her money came from. Marge attempts to make friends with the society women at the country club. Uh, you know, Marge, your family doesn't have to stand in the alcove.